Caitlin founded Chrysalis Aerial Academy in October 2016 and teaches aerial silks and lyra four days per week. She has over five years of aerial arts experience as well as a background in performance, movement and theater. When Caitlin is not at the studio you can find her working with animals, doing art projects, enjoying live music and exploring the outdoors. Caitlin wanted to try aerial arts after seeing a silks performer at a circus when she was a kid. As an adult she finally had the opportunity to take a class. She was hooked. Despite being athletic, she did not find exercising enjoyable until trying aerial arts. Her advice to people who want to try circus arts is to stop making excuses and show up! You get strong by taking classes, you don't need to be strong before you get here! Set your ego aside and just enjoy the ride. Laura started taking silks classes at Chrysalis Aerial Academy in May 2017. Shortly afterward she began teaching floor-acrobatics classes twice per week. She is a gymnastics coach with 14 years of experience teaching and training in different states. Laura is a devoted mother. During her free- time she enjoys skateboarding and snowboarding. Laura was exposed to aerial arts after seeing it in Vegas when she was 21. She wanted to try it for a long time but she thought it would be impossible until she took a class. She has quickly progressed to our intermediate silks classes and has started branching out into lyra. Her advice to people who want to try circus arts is to never give up and do NOT underestimate yourself. She says; "I think that we all start in the same place, doubting our abilities and saying things like 'I could never.' But then you surprise yourself every class, and there is nothing more satisfying than being able to say 'Now I can.'" 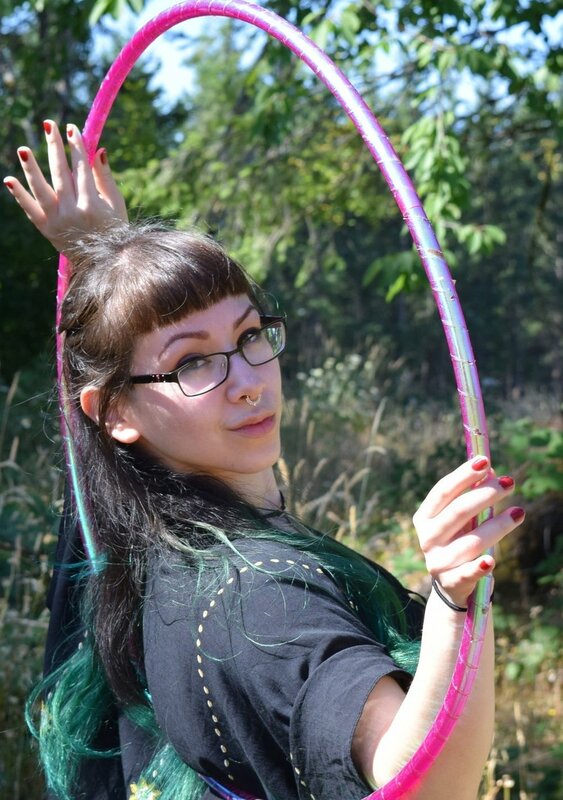 Stephanie started at Chrysalis Aerial Academy in February 2017. She quickly began teaching adult aerial silks classes as well as the children's circus series at our Academy. She has over eight years of aerial and performance experience in various cities across the US and Puerto Rico. In addition she was a movement and dance instructor for ten plus years. Stephanie works as a after school program manager and is a youth and family advocate. On her off- time she enjoys reading manga and watching anime as well as playing board- games. Stephanie practices aerial arts as a form of self- care. It is her favorite way to unwind after a busy day and take care of her body. Her advice to people who want to try circus arts is; "Don't overthink it, just do it!" Marcela started teaching flexibility and contortion at Chrysalis Aerial Academy in Spring 2018.